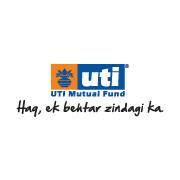 UTI Mutual Fund has launched a new fund named as UTI Capital Protection Oriented Scheme - Series VIII - II (1831 Days), a close ended capital protection oriented income scheme. The duration of the scheme is 1831 days from the date of allotment. The New Fund Offer (NFO) price for the scheme is Rs 10 per unit. The new issue will be open for subscription from 6 September to 20 September 2016. The investment objective of the scheme is to endeavor to protect the capital by investing in high quality fixed income securities as the primary objective and generate capital appreciation by investing in equity and equity related instruments as secondary objective. The scheme offers growth and dividend (payout) options under both regular sub plan and direct sub plan. The scheme shall invest 70 to 100% of assets in debt & money market instruments with low to medium risk profile and up to 30% in equity & equity related instruments with medium to high risk profile. Minimum application amount is Rs. 5,000. The fund seeks to collect a minimum subscription (minimum target) amount of Rs. 20 crore under the scheme during the NFO period. Entry and exit load charge will be not applicable for the scheme. Benchmark Index for the scheme is CRISIL MIP Blended Index. The fund managers of the scheme are Sunil Patil and Srivatsa.